We are a pro - active modern accountancy practice providing informed and trusted advice. 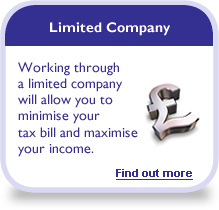 We specialise in providing bespoke tax efficient solutions to contractors and freelance consultants. Contractors are the back bone of our business and have benefitted from our experience over 15 year period. We treat our clients as individuals and provide tailored solutions to suit each client's needs. 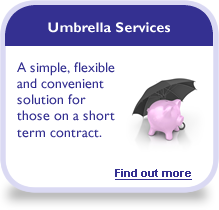 We understand that no two clients or circumstances are the same. All our advisors are professionally qualified Chartered Certified accountants.